Alongside our Interior Design services, Devas Designs specialises in buying artwork for clients. Whether you’re looking to start a collection, add to an existing collection or search for that one perfect piece - we have the expertise and contacts to help you. 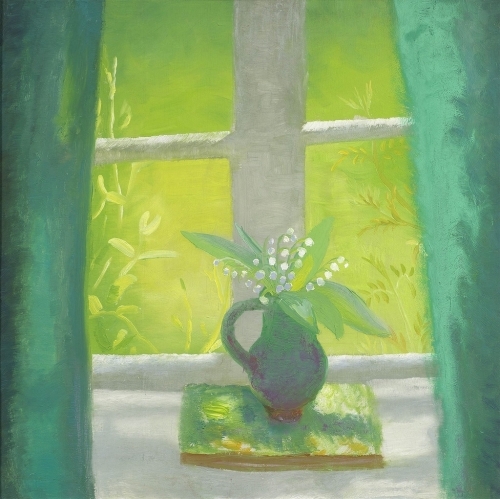 Winifred Nicholson was a colourist and her beautiful impressionistic style has always caught our eye. She concentrated on domestic still life objects and landscapes, often combining the two by depicting nature through a window, for example. She was married to painted Ben Nicholson who focussed on more abstract scenes. There is a lovely soft quality to her work; both in the colours and treatment of paint. The lightness and optimism created would makes a lovely addition to an interior as tehse qualities compliment an existing colour scheme while adding a splash of colour to the space. Joakim Eskildsen is a photographer from Copenhagen. His series Nordic Signs was produced between 1989-1994 and resulted from his travels between Northern Europe, featuring Norway, Scotland, Denmark, Sweden, Iceland and the Faroe Islands. In his series, Eskildsen draws out the poetic qualities of these landscapes with an emphasis on the atmospheres created by the elements. They were a collaboration with his wife, the poet Cia Rinne. He was inspired by the way Renaissance painters portrayed light and used some of these techniques in his photographic work. He says these images capture “something that is at the same time wild yet liveable”. Born in in Nigeria in 1960, Abe Odedina lives and works in London. He is a self-taught painter, having trained originally as an architect. 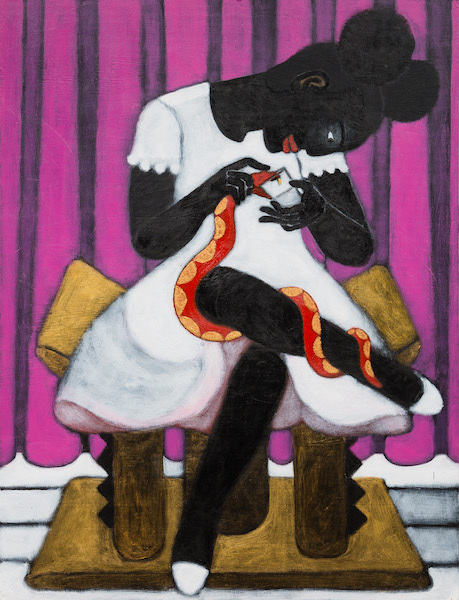 A trip to Brazil ignited Odedina’s interest in painting and particularly the the voodoo arts of Haiti and the Painters of the Sacred Heart. Odedina's work celebrates the use of colour and pictorial statements, qualities in artwork seen on the streets of cities such as Lagos, Salvador and Port-au-Prince. 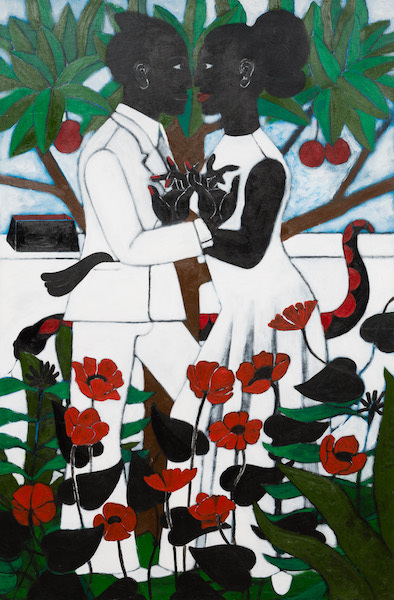 The figures are painted in acrylic on plywood in a bold and stylised manner. 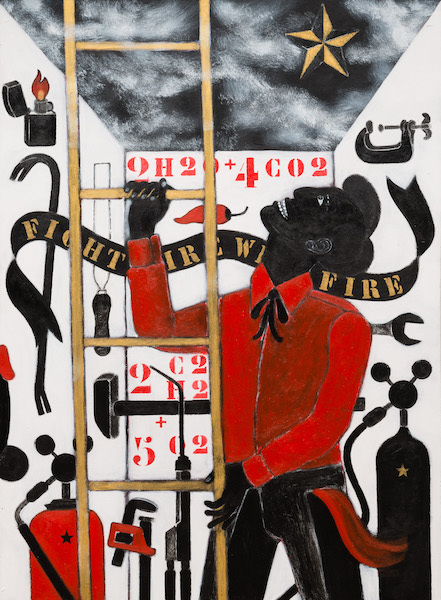 He often incorporates text which explores universal themes and believes that art has the power to transform reality.